Since 1974, the lawyers at Solomon & Relihan have been representing injury victims throughout Arizona. We continue our work by helping some of the most vulnerable populationsâ€”people with disabilities residing in Arizona’s nursing homes and group homes. Physical abuse, neglect, emotional abuse and other dangers put residents at risk. 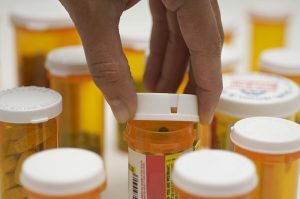 But, of the many problems that nursing home and group home residents experience, medication errors are among the most common. If you suspect that your loved one is being mistreated in any way, contact attorneys who focus on protecting residents and holding accountable facilities that fail to meet their duties. In many facilities, staff members lack training and knowledge to deal appropriately with behavioral problems. Without proper training, they may promote residentsâ€™ over-use of psychotropic drugs, including antidepressants, tranquilizers, antipsychotics and anti-anxiety drugs. Many of these drugs are used in combination and their combined effect is over-sedation â€“ a chemical restraint that limits everyday function. When used for staff convenience, and not to treat an underlying medical condition, the use of drugs as a chemical restraint is never acceptable. In addition to these â€œchemical straightjackets,â€ long-term use of chemical restraints can lead to diabetes, thyroid dysfunction, central nervous system disorder, and Parkinsonism, as well as liver, kidney, pancreas and other organ damage. If you believe that a medication error had lead to injury at a nursing home or group home, or if a loved one is being administered an improper drug, speak with an attorney about taking legal action.